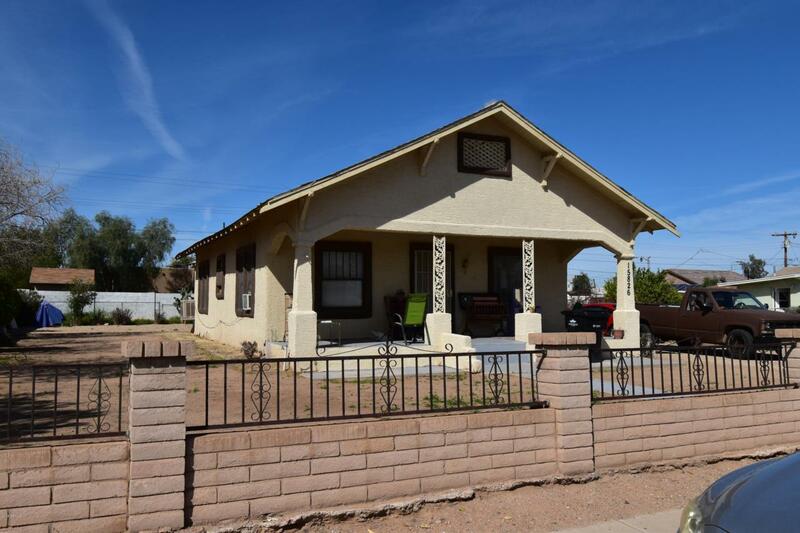 This cute stuccoed Craftsman home is in need of some TLC, and is being sold As-Is. Block view-fencing in front of property. Nice covered porch for your morning coffee. Front living room and dining room has gas heater. 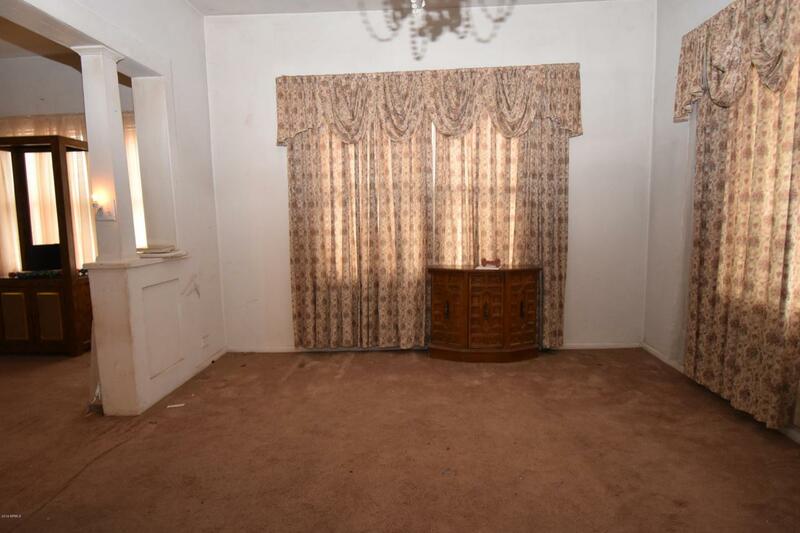 Carpet & linoleum, window AC units. Master bedroom has closet and storage area. Second bedroom with closet and built-in shelving. Hallway between two bedrooms with storage cabinet. Front bathroom has linen shelf. Spare room at back of house with second bathroom, could be used as den or guest bedroom. 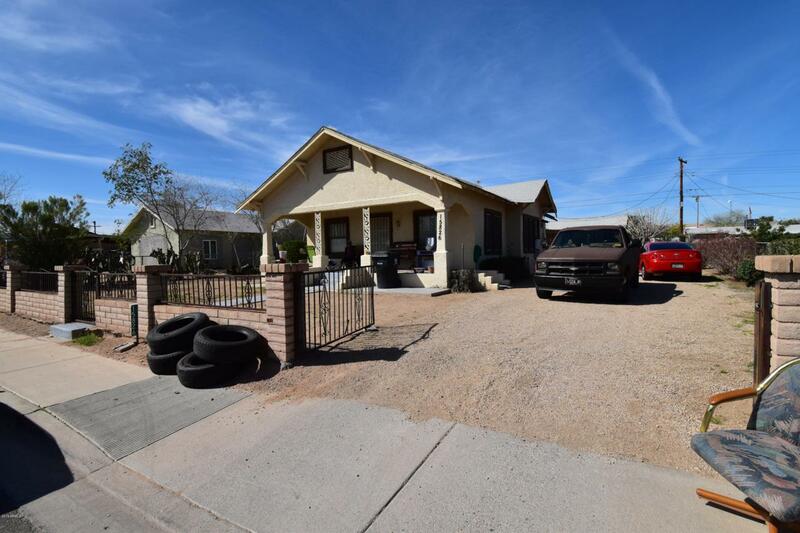 Large lot, with a big 22 x 26 Workshop/ storage shed with stucco in back yard. Fencing, back alley. 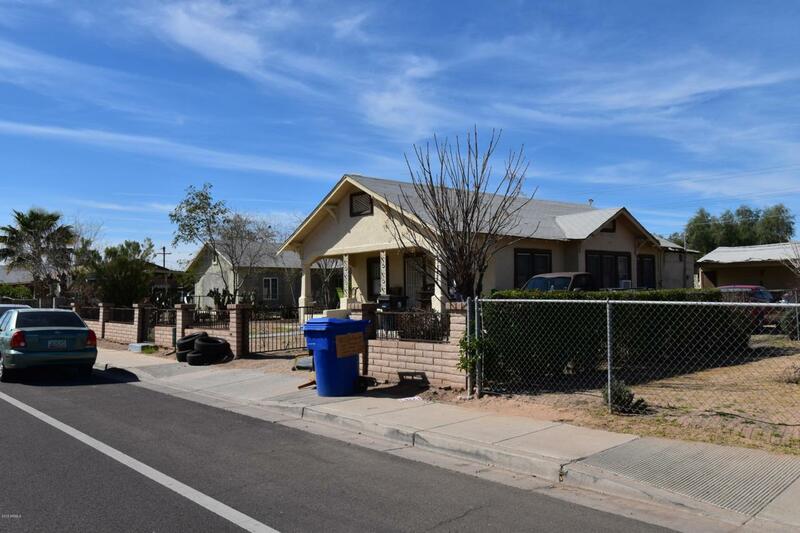 Close to Community Center, community pool, library & Floyd Gaines Park.